Planning a successful day is far from planning to have a perfect day…let me get that out there. 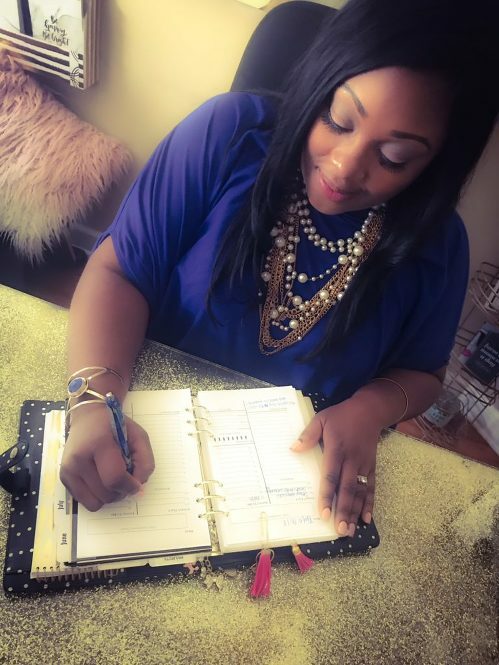 If you follow along the journey with me here, you will find that I constantly talk about planning, making lists, and using a planning system to help me accomplish my goals. You can plan out your days in advance and have a roadmap to your own personal success. The day is like a whirlwind. There are distractions after distractions then the time seems to fly by and I don’t feel like anything was accomplished. For me, it can get pretty chaotic and I will find myself frustrated and agitated. I don’t feel at the top of my game when I just let life happen. Don’t get me wrong, this has nothing to do with the desire to be in control, this has everything to do with not being intentional about my life. Being a creative professional, my mind is constantly going. I’m always thinking of new projects to start, finishing outstanding ones, brainstorming, researching, testing, you name it. If I don’t get a handle on me and my time, then it’s lost. Does this sound familiar to you? And, I will also lose my focus if I don’t have set plans in place when it’s an unexpected phone call or visit to my office. Anything goes. And, that is not always good. There is a saying, If you fail to plan, then you plan to fail. Well, I don’t want to plan to fail by not putting a plan together and I don’t want that to happen to you either. So, I am going to share a few ways that you can plan a successful and productive day. Make a List. This is where you will need to download everything that you need to get done by the end of the day or the week. I’m speaking of the things that really need your attention. (ie. pay a bill, attend an event, email a client, take a kid to an activity, etc). Think of everything that really must get done and write it down. When you download your ever growing to do list from your thoughts to paper, you will find yourself relieved of having to feel obligated to store so much information. When you have listed as much as you can that you feel should be a part of your day or your week, give the tasks a priority level and a deadline for when the task must get done. Add it to Your Calendar. Based on the priority level, assign the task to a day. If you have mini tasks that can help you complete the main thing, jot those things down near your planner so you won’t get overwhelmed with thinking about how you will get it done. Try your best to assign a minimum of 3 high priority tasks per day. Keeping a to do list of 30 or more things will only overwhelm you and leave you feeling like you don’t have what it takes to succeed. That is so far from the truth, Girlfriend. Keep it to 3 per day!!! Start simple. Adopt a “Planning Day” for the Week. I like to plan my week on Sundays. You can choose whatever day suits you. I light a candle, play soft music and have my monthly calender, planner, and my “brain dump” list with me. This way, I know what I have planned for the week and my focus will be on completing the tasks preset. Let me say this—-plans change. So, if you find yourself having to adjust a day or two and move things around, add/subtract tasks or events….it is OKAY! Be Intentional About Your Plans. When you sit down to schedule your day, be intentional. Truly think about what it is you would like to accomplish for that day. You may have to take a little bit of time to reflect on what would put a huge smile on your face at the end of the day because you did “XYZ”. Commit to Being Productive. In order for you to see the results that you are looking for, commitment to a plan is essential. You will have to create an environment to support your vision-focused plans. What do I mean? Is your planner up to date? When and where do you spend time to focus on your daily planning? Is your desk area setup for you to be productive? Do you eliminate excuses as to why you can’t plan out your day and stay on task? Remember that it isn’t for you to plan your day to be “in control and rigid”, it’s to have a road map for you to follow to accomplish your goals. By simply making a day’s plan, you can eliminate stress and allow yourself to become an idea generator and problem solver because you will have the mental strength to think beyond a long list of things that can overwhelm you. Do you think you can commit to one day a week to sit quietly and plan out your week? If that seems too daunting, definitely commit to creating a day’s plan a day ahead so that you can see the results of being productive. Have a great day, being fancy, fabulous and productive.